The very recent indemnity issued by the Bank of Bhutan (BoB) to access their mobile banking app raises the question of consumer rights with regard to the protection of consumers and safety of consumer services. Not even a week ago, in order to log into the mBoB app, a mandatory update was required and the users have to agree to indemnify the indemnity every time to access the banking service. Failing to agree would mean that the service will be denied. In the legal context an indemnity contract arises when one individual takes on the obligation to pay for any loss or damage that has been or might be incurred by another individual. The right to indemnity and the duty to indemnify ordinarily stem from a contractual agreement, which generally protects against liability, loss, or damage. The indemnity prior to logging into the app states, “You agree to indemnify and hold BoB harmless against any direct or indirect loss arising due to technical failure, having wrongly transferred/recharged to the unintended beneficiary. The transaction(s) will be executed solely at your own risk and responsibility. 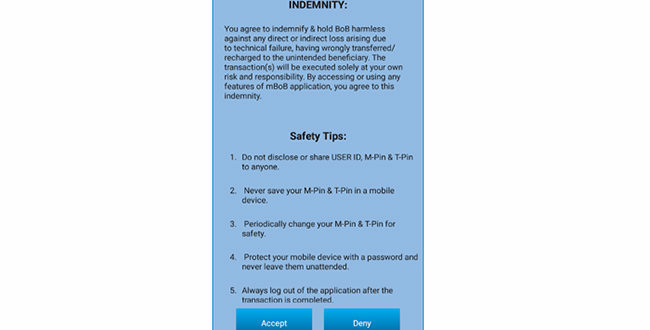 By accessing or using any features of mBoB application, you agree to this indemnity.” There are also some safety tips along with the indemnity to secure app. The Office of the Consumer Protection (OCP) said that the Office has been made aware about such indemnity after repeated complaints by the consumers seeking OCP’s stand. “As soon as we found out about the issue, we have consulted the central bank and sought legal stance on the issue. The RMA is currently reviewing the issue. The consumers expressed that they do not have concerns indemnifying other clauses exception of the clause which states that the users will be held accountable for any loss arising due to technical failure,” said Sonam Tenzin, Director of the OCP, Ministry of Economic Affairs. Sonam Tenzin argued that technical failure can arise from the system failure of the bank, power supply disruption, or can be caused due to erratic telecommunication services for which the consumers cannot be held liable. Moreover, losses due to technical failure frequently arise and clients are seen lamenting such encounters with the banking system on social media. 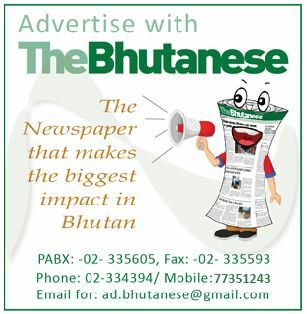 The OCP’s legal officer Chencho Zangmo, who followed up with the concerned BoB officials said the clause on the technical failure is not in line with the Consumer Protection Act of Bhutan and raises issue on the infringement of the consumer rights. A legal officer with the Central bank said that if the losses arise due to technical failure, the bank should be held accountable for the damages and a follow-up should be carried on the matter. The OCP stands by the Section 4(c) of Consumer Protection Act 2012, which states that the consumer shall have the right to fair; non-discriminatory and equitable treatment by businesses which will include fair terms of contract and sale; and further Section 4(e) provides consumers to get redressed against unfair trade practices and unscrupulous exploitation of consumers. 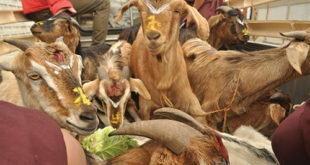 “The head of the mBoB division told the OCP that the possibility of the loss of amount due to technical failure is very dim, however, should such issues arise, the mBoB division head said that they have reconciliation and customer care unit team to address such grievances after thorough investigation,” said Chencho Zangmo. Since the particular indemnity clause issued is not in line with consumer protection act anyhow, the OCP will take the matter formally with the financial institution in the coming days. Officials from the BoB declined to comment stating that the issue is currently under review.